Ringroads are motorway systems build around a town or a city. Such infrastructures are often barriers that separate the city into an internal and external part; they reduce physical connectivity between parts and they disconnect functions. The areas next to such infrastructures have a very specific programmatic typology. With time they have attracted program that was not disadvantaged by the disturbed condition that the highway creates (noise, pollution, disconnection…) such as industrial areas and warehouses. On the other hand, such areas have also been occupied by large scale open and recreational spaces such has parks, allotments, gardens, golf courses, and zoos. But, even more interesting, ringroads have created ‘no man’s land’, unused leftover spaces where it is not possible to build (yet) and that haven’t been dedicated to specific functions. No use, and no identity. Highways are an example of the concept that disturbance organises cities. The consequence: it attracts certain functions and dismisses other ones. But, if we look at the trends in mobility, we know the condition of traffic will improve: smart mobility technologies and sharing systems might reduce the number of cars and the needed space for traffic. Furthermore, the diffusion of the electric cars will reduce noise and cut environmental pollution. Assuming such trends won’t be disregarded and the environmental conditions of these areas – next to and within highways – will dramatically improve in the coming 1 or 2 decades, what is the future of motorway landscapes in cities? What is the future of ringroad landscapes? What is the future of the A10 landscape? 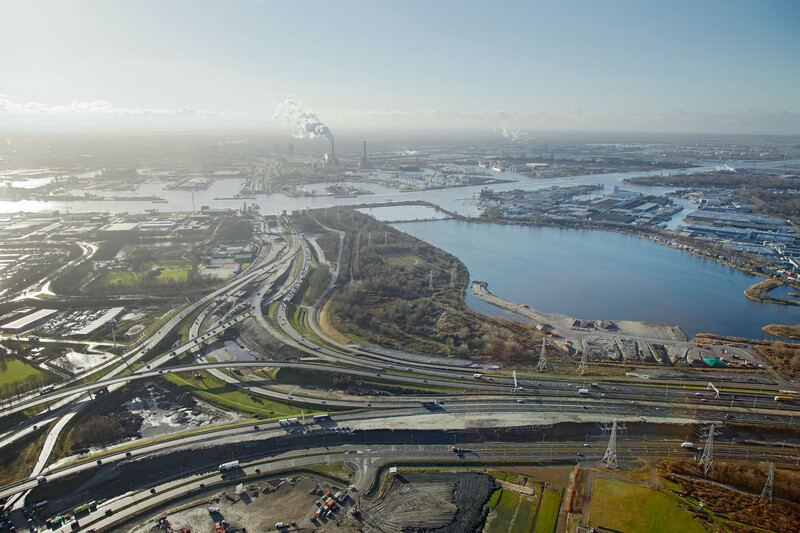 The node created by the intersection of the A8 with the A10 in the North-West of the city is an occasion to elaborate on infrastructural spaces in general,but also on Amsterdam and its relation with its ringroad.